Rather than going the traditional route, I created a mouth-watering strawberry and banana lassi, sprinkled with yellow curry powder. It’s a yummy alternative if you don’t have mango, you’re allergic to mango or simply don’t like it. 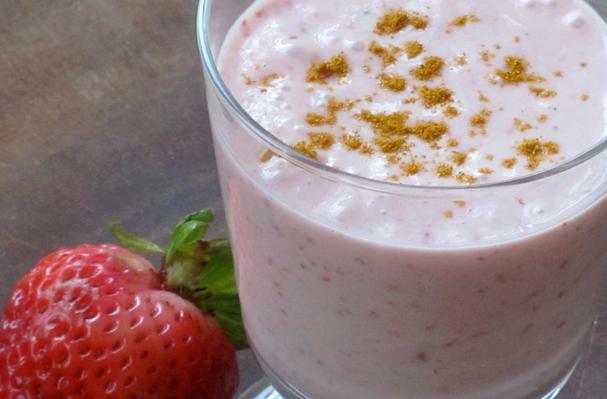 This strawberry and banana lassi is refreshing and the curry is a nice and subtle touch!